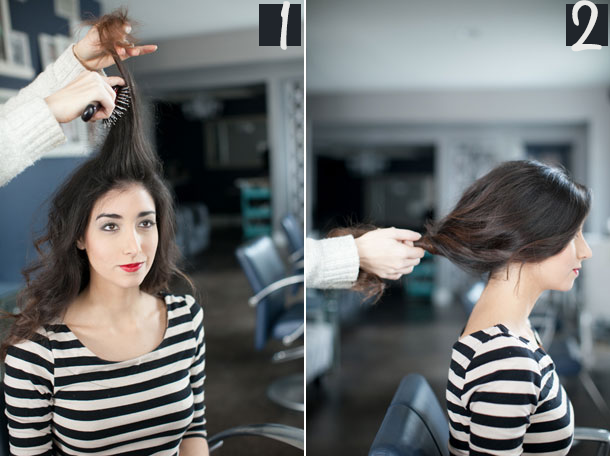 1.Starting with a deep side part, add texture to your hair. I used Living Proof Flex and a 1-inch curling iron to create messy wave, then teased throughout the crown. 2.Loosely gather hair at the name of the neck and begging twisting. 3.Continue twisting, and fold the gathered hair straight up. 4.Fold the end of the tail back down on itself as pictured. 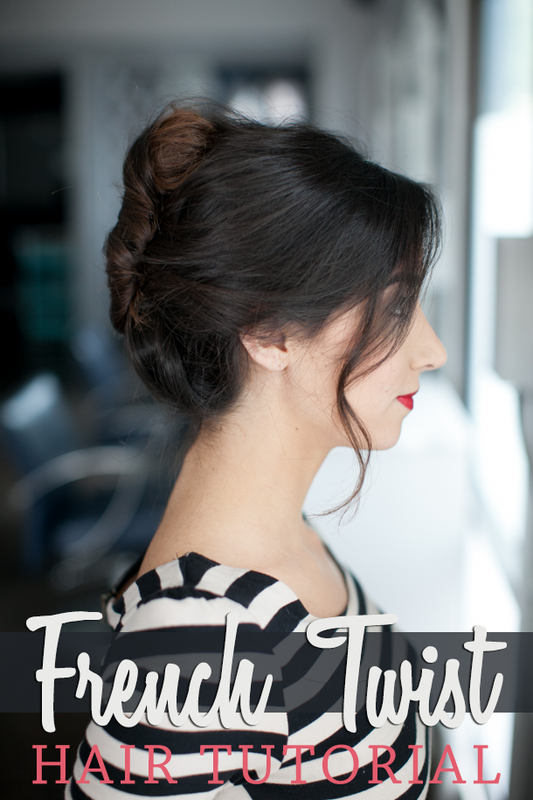 5.Tuck the end of tail into twisted hair by gently rolling it underneath until completely concealed. 6.Secure with bobby pins and allow loose hairs to fall around the face. Spray all over.